Here are the best selection of iPhone X ultra-slim cases that protects your phone while not adding any additional bulk to it. They don’t break your bank either! 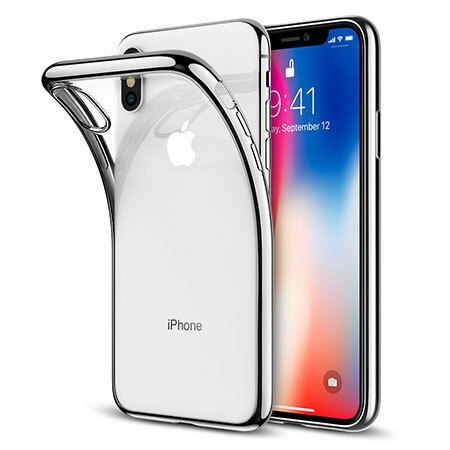 If you have taken the opportunity to purchase one of Apple’s wonderful iPhone X smartphones for shipment in early November, then the chances are that you will also want a decent protective case to keep it safe and protected. 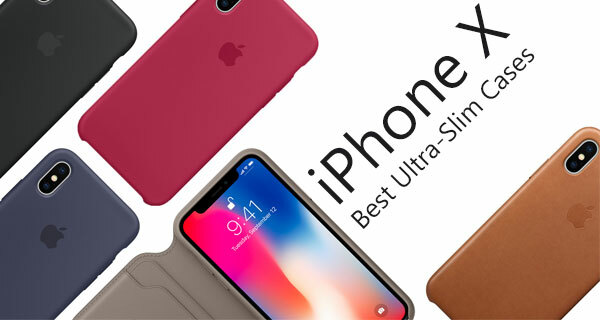 Keeping that in mind, we have compiled a list of what we feel are the best value ultra-slim iPhone X cases on the market today. You can check them all out below. Some of these cases have deals on them for limited time only so you might want to get hurry if you want to get them for discounted prices. Ready? Here we go then! This isn’t one of those cases that are going to boast about being innovative or game-changing. Instead, it is a very simple, thin, and ultimately lightweight case which will offer an immediate level of protection to the device without adding any bulk. Jet Black and an array of other colors are available. 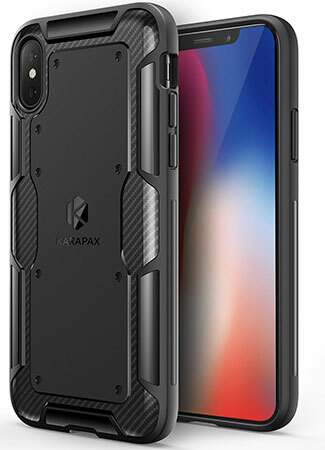 If you search for an iPhone X case, then you are likely to come up with the wonderful KARAPAX range. While not exactly the slimmest case on the block, this slim-fit carbon texture version gives you the protection that you need with the visual styling that you want, to make your iPhone X look out of this world. Best of all, you can grab this case at just $8 using the following promo code at checkout: KRPL1027. This is a great little stylish slim-fit case which isn’t going to add a ton of bulk or weight to your phone, but will instantly give you a level of protection that makes you feel comfortable. It is thin and clear with a measurement of just 0.8mm in thickness and comes in an array of transparent colors. 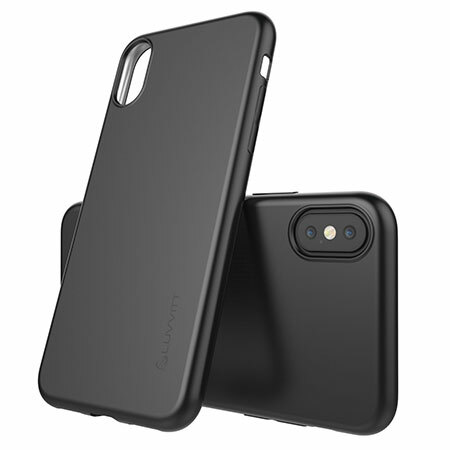 This is another one of those lightweight and slim fitting rubber cases which give you durability without making you add bulk or weight as a trade-off. You still get the gorgeous look and feel of iPhone X, but just protected by this accessory to give you a peace of mind. 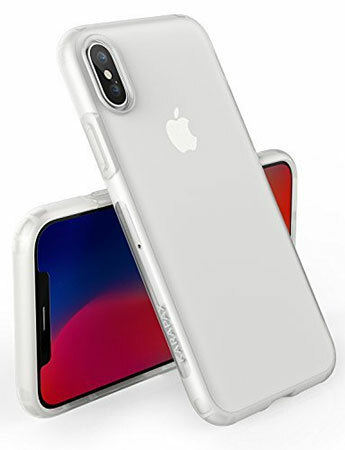 Similar case to the one above in terms of precision engineering and how it is built, but this version offers a couple of different colors, and comes with an ultra-slim single layer design to ensure that the covered iPhone isn’t bulked up or bloated out in any way. This case may cost a little more, but the manufacturers like to think that you are getting a little more. Not only has it been precision engineered for iPhone X, but it’s actually also been put through a third-party lab testing process to ensure that it can be dropped over and over again from heights of up to 8-feet, without suffering damage. The slim feel, and transparent look also makes sure the actual design of your beautiful iPhone X stands out from the case.